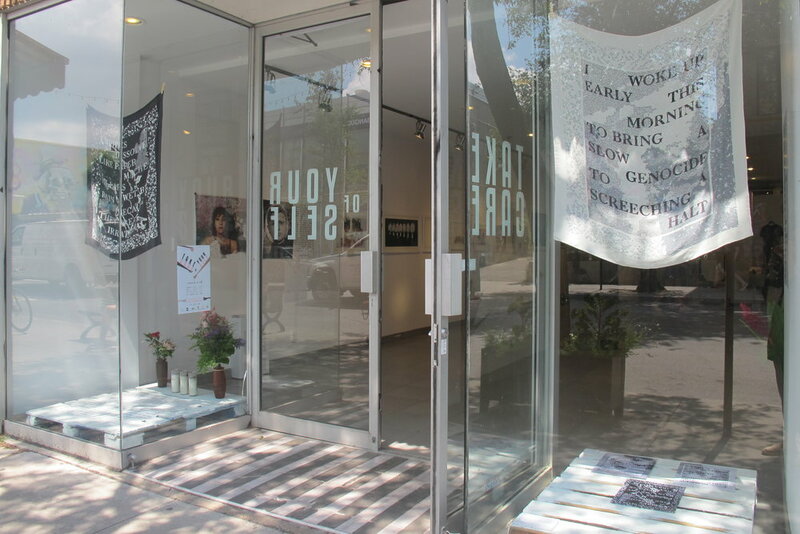 “Take Care of Your Self” was a multidisciplinary exhibition and series of events held in Montreal in July 2017. The exhibit brings together artwork, intervention, performance, and conversations by 27 artists of diverse communities dealing with the intersections of struggle and self-care. Arab, Black, Indigenous, Brown, Muslim, “Other”: We hold this space by grieving and healing together. “Take Care of Your Self” is a deliberate act in the politicization of self-care in order to better resist, or persist, in the struggles for rights, freedoms and wellbeing. Illustrated by the works in this exhibit, the heavy subjects of trauma, loss and displacement can transform into opportunities for healing and empowerment, foregrounding the concept of self-care at the forefront of the discourse on struggle.